← How to remove pdf crop box using command line? 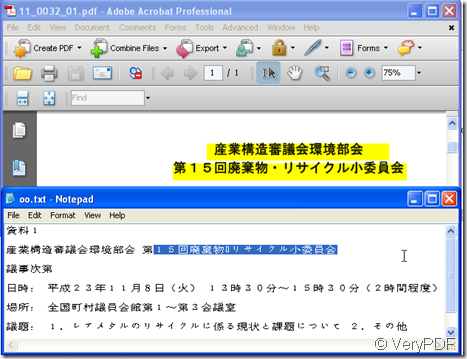 If you are interested in converting the pdf to text, please read this article. 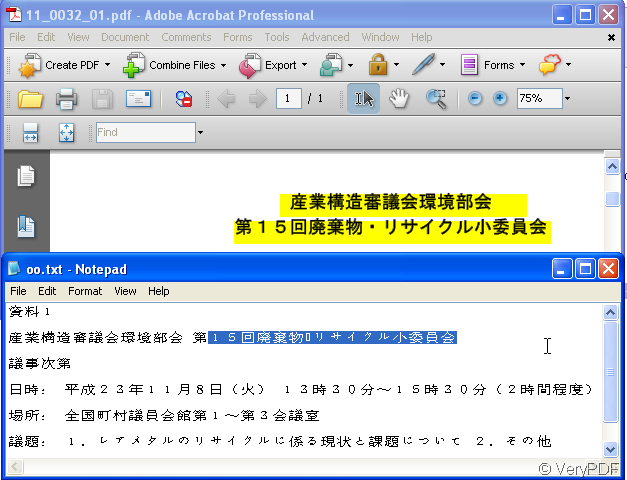 I will show you how to convert the pdf to text in a second. I use one software named pdf to text converter v3.2 command line version which can extract text from PDF files, pdf to text converter is a standalone application, it does NOT need Adobe Acrobat or Adobe Reader software. pdf to text processes at high speed and you can convert any number of PDF files to text files at one time. Then I will show you how to use this software. As we need this software to finish the whole conversion, we should visit its homepage to know its function, usage and other features. The more we know about it, the easier when we use. If you feel it will be good for you, you can download it to your computer to have a try. This is the downloading link:http://www.verypdf.com/pdf2txt/pdf2txt.htm. There are four versions of this software, please choose the one you really need. Use the common steps to run MS Dos windows. Click start, go to “run” , input “cmd” in the bounced blank then press “enter” button on the keyboard,then you will enter the dos windows interface. Please check the usage and parameters in the manual, then input the command according to the usage and introduction. The usage is:PDF2TXT <input PDF file> [output TXT file] [-logfile] [-open] [-space] [-html] [-format] [-silent] [-blankline] [-summary] [-zoom <num>] [-?] [-h] , so we should follow the PDF2TXT.exe—> input.pdf—> out.text. I will take a random pdf file for example to show you the detail steps to convert pdf to text by command line. It only takes a second to finish the conversion. As I use the trial version, there will be reminder in the window and the first page converted, if you use the formal one, everything will be very smooth. After conversion, we can find the 00.txt in the folder E:\2011-9-28. So let’s have a check. This example was sent by our customers. It is in Japanese. So it supports many kinds of languages , such as French, German, Italian, Chinese Simplified, Chinese Traditional, Czech, Danish,Dutch, Korean, Norwegian, Polish, Portuguese, Russian, Spanish, Swedish, Thai, etc. languages, you do not need to worry the characters. If you feel PDF2TXT v3.2 is good for you, you can experience it yourself. This entry was posted in PDF to Text Converter and tagged command line, pdf to text. Bookmark the permalink.